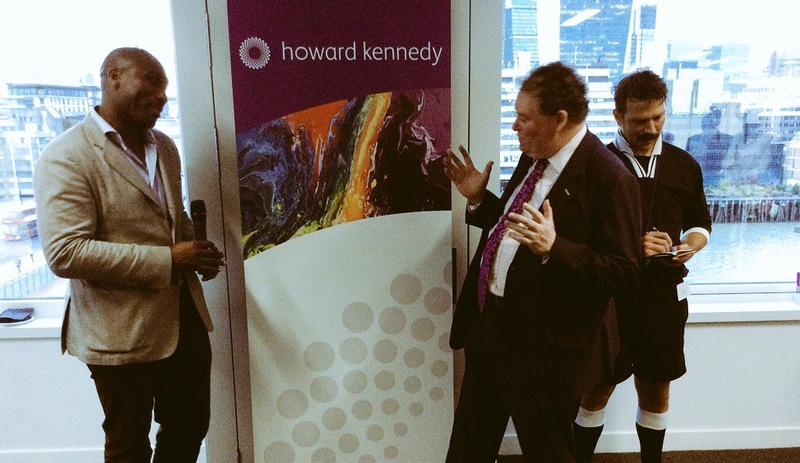 Sol Campbell, together with Matthew Etherington and Simon Davies helped Howard Kennedy's Sports Individuals team celebrate its exclusive partnership with Professional Player. Hosted by Louis Langton, the joint head of the team, the evening kicked off at 6pm in front of a full crow of some 40 guests and friends of the firm and Professional Player, and party provided an opportunity for networking and to hear some wise words from Sol Campbell. Stef the Ref entertained and kept guests onside issuing plenty of yellow and red cards, with leading caricaturist Luisa Calvo capturing the players and guests in action. Table football provided some lively competition for those wishing to show off their talent and skills. The final whistle blew at 9pm, with a satisfying result for everyone attending.